On one hand, the United States is demanding that Iranian-backed militias "leave" Iraq, claiming the fight against the self-titled "Islamic State" (IS) is over. On the other hand, the US and its European partners are still funneling weapons, cash, direct military support and organizing training for Kurdish factions in Iraq's northern region to "beat back" IS. Additionally, US contractors are attempting to take control of Iraq's western highways connecting the nation to neighboring Jordan and Saudi Arabia. The contractors are to provide both security and rebuild destroyed infrastructure, also citing IS' continued presence as a pretext for America's continued presence in the country. "Those militias need to go home," Tillerson said. "Any foreign fighters in Iraq need to go home and allow the Iraqi people to regain control of areas that had been overtaken by ISIS and Daesh that have now been liberated. Allow the Iraqi people to rebuild their lives with the help of their neighbors." 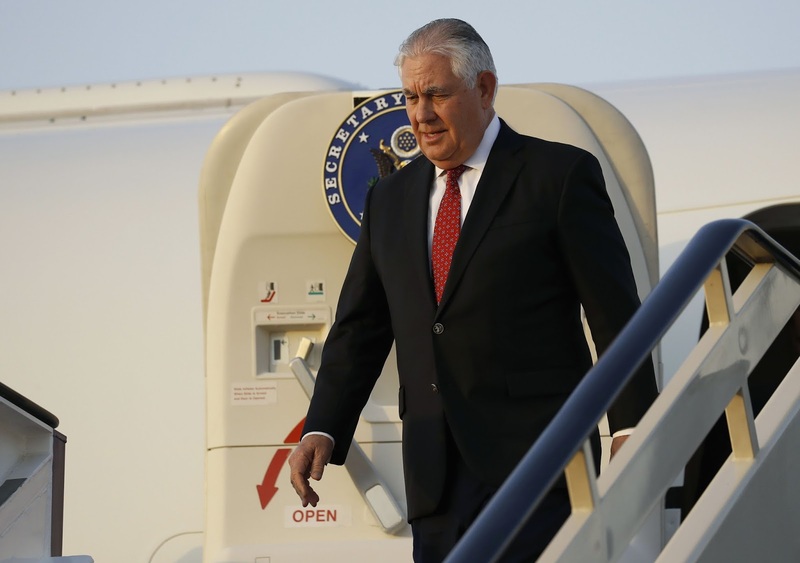 And while Secretary Tillerson notes that the Iraqi people should be allowed to rebuild their lives "with the help of their neighbors," he apparently means, all of the Iraqi people's neighbors except Iran and Syria. Secretary Tillerson's remarks were made in Riyadh, Saudi Arabia, giving a significant clue as to which neighbors he meant Iraq should get help from. However, it was Saudi Arabia who provided the very militants the Iraqi people have been fighting with arms, cash, equipment and training in the first place. At the same time, at least 1,500 Saudis had traveled to Iraq and Syria to join ISIS over the years, and Baghdad had long accused Saudi Arabia of turning a blind eye to Sunni militants crossing its territory to enter Iraq to take part in the country's sectarian conflict. If IS and other militant organizations fighting in Iraq and neighboring Syria represent one proxy of US, European and Persian Gulf interests, the Kurdish factions in northern Iraq seeking to carve out an independent "Kurdistan" are another. 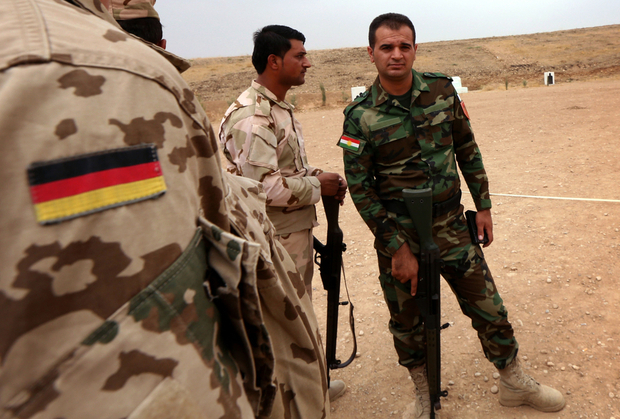 The Bundeswehr has been training and supplying weapons to the peshmerga for three years to help the Iraqi Kurds beat back the "Islamic State" (IS). 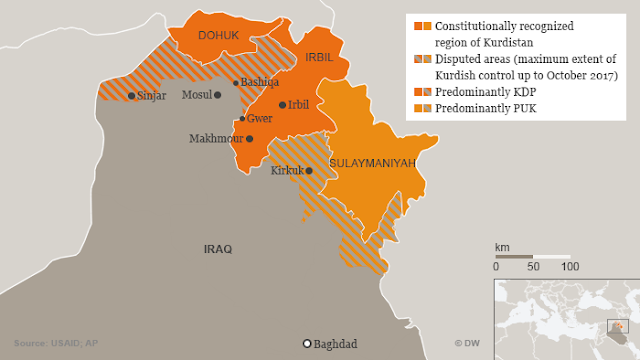 However, if "Iranian-trained paramilitary groups" are reasserting control over disputed territories the Kurds have captured since June 2014, this means unequivocally that the threat of IS has been removed from the region and thus German military support is either unwarranted, or was never fully intended to combat IS, simply appear as doing as much while bolstering yet another proxy force to confront and conflict with Iraq's central government. DW's report also included an interesting map. On it depicts "Kurdistan" as a diminutive region clinging to the northern borders of Iraq, divided between the Kurdistan Democratic Party (KDP) and Patriotic Union of Kurdistan (PUK) factions. 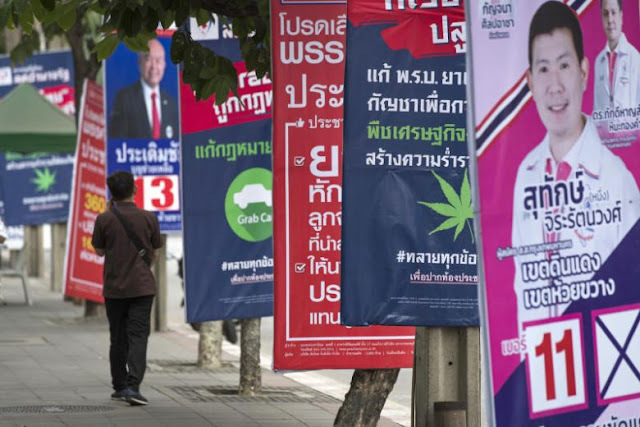 It resembles not the foundation for a future, functional, independent nation-state, but rather a divided and weak proxy that will be forever dependent on its foreign sponsors. In other words, "Kurdistan" is little more than a vector through which the US and its partners seek to divide, weaken and assume hegemony over both the nation, and throughout the region. More honest politicians and commentators, quoted in the DW article, note that there is little logic in continuing Germany's support for Kurdish militias if the true objective was indeed fighting IS. However, it appears that the US will attempt to use willing Kurdish factions as proxies against Baghdad and to a greater extent, against Tehran, for as long as certain Kurdish leaders allow them to. Attempts to frame "Kurdistan" as an issue of "independence" and "self-determination" fall flat upon examining that actual sociopolitical, economic and military landscape of Iraq's northern reaches. It is clear, that for now, the future of the Kurds is being determined by Washington and its partners, not the Kurds themselves. But it will be primarily the Kurds themselves who pay the highest price in this ongoing political game, along with militias and soldiers representing Baghdad they are arrayed against to fight. It is little secret that the US seeks to divide both Syria and Iraq along sectarian lines. US policymakers at think tanks like the Brookings Institution have literally published papers with titles like, "Deconstructing Syria: A new strategy for America’s most hopeless war," detailing just how such divisions can be cultivated. Such divisions diminish both nations further in their ability to influence their own destiny, let alone influence the region. With the US attempting to take control of Iraq's western highways to reinforce a "Sunni" sphere of influence, while it arms, trains and backs Kurds in the north, the three-way partitioning of Iraq is still clearly at the center of US policy. IS, it appears, was merely a catalyst, one intentionally introduced, but one that has almost run its course. One wonders what "catalyst" the US will turn to next, and seems content for now pretending IS both exists and doesn't exist. But what there is little doubt of is that Washington and its partners still eagerly seek to move forward their agenda, continuing to weaken the region in an attempt to reassert its control over it.